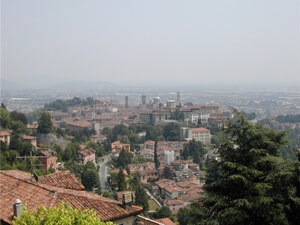 Bergamo has an atmospheric, historic old town on the hill overlooking the lower city, which is more modern with the main transport links and the commercial and shopping centres. 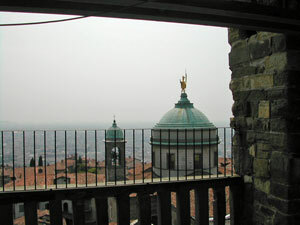 Bergamo is also an excellent jumping off point with good links to Milan and Brescia and into some of valleys coming down from the Italian Alps, including Lake Como. 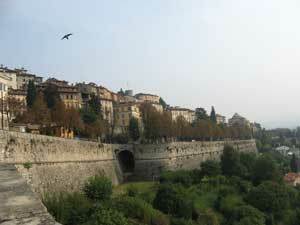 The best source of information on Bergamo is the Bergamo tourist office. This has lists of hotels, restaurants, maps etc. 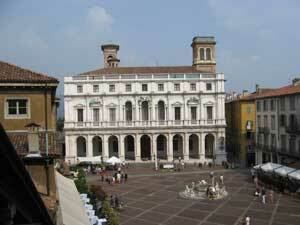 Some hotels can be booked online with organisations such as http://www.italy-accomodation.com/bergamo.htm . View of the old town from the lower town at the start of the Donizetti Festival, September 2012. 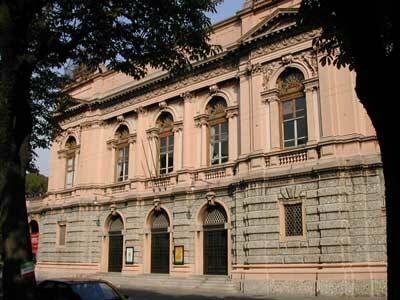 There is also the church of Santa Maria Maggiore, where Mayr was Maestro di Cappella and which has monuments to Donizetti and to Mayr (photographs on Mayr page and Donizetti's Life). 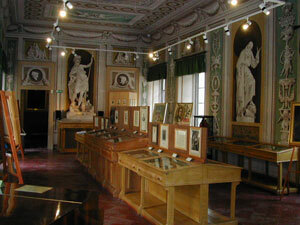 The Museo Donizettiano was originally the school that Donizetti attended. 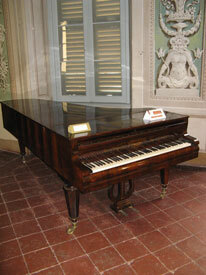 It now houses two of his pianos and other furniture, portraits, copies of scores, letters etc and engravings of many of the singers associated with the premieres of his operas. See www.museodellestorie.bergamo.it/luogo/museo-donizettiano/ for more details. 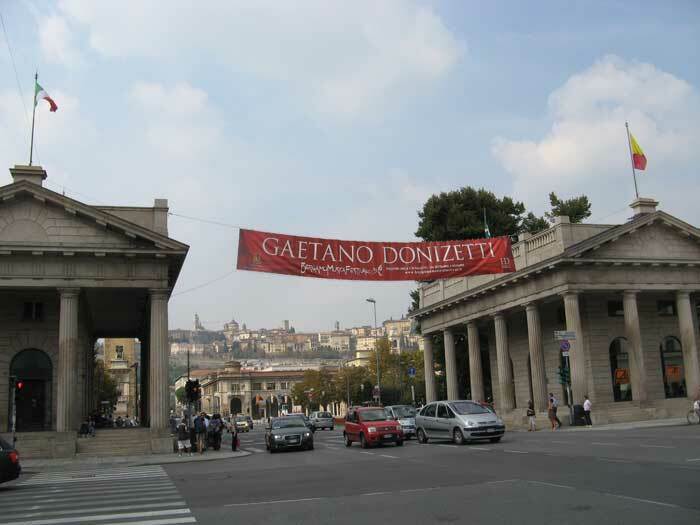 The other main Donizetti museum in Bergamo is the Casa Natale di Gaetano Donizetti. 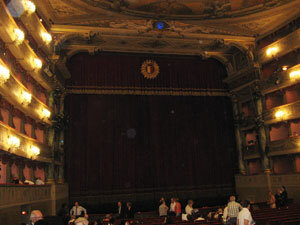 The Teatro Donizetti is in the lower city. 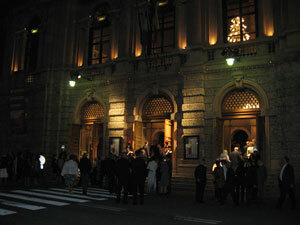 Schedules and booking details can be found at the Teatro Donizetti site. If you are interested to see some of this for yourself, then low cost airlines (e.g. 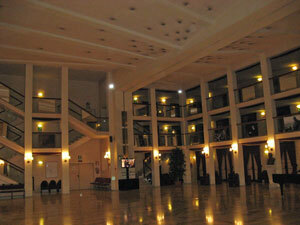 in the UK, Ryanair) sometimes use Milan-Bergamo (Orio al Serio) airport as a gateway to Milan. The airport is only about 5 kilometres from Bergamo, so making it extremely convenient to visit Bergamo for a few days. Regular buses go from the airport into the town. Please note that the other Milan airports, Milan Linate and Milan Malpensa, are not nearly so convenient, necessitating going into Milan first and then travelling onto Bergamo, although there are some through buses.